Every time I think about South Africa, this rainbow nation we call home, and its many different languages, I imagine it being like sitting in a musical theatre house. The lights go dim and the stage curtain slowly opens, focusing a very powerful spotlight on a carefully assembled orchestra. The violin begins to play, opening up the show, joined by the cello, then suddenly the piano throws in a few keys, ascending the cords, perhaps a saxophone even, building up to a crescendo. Magnificently and effortlessly blending all these outward sounds together, forming the most amazing piece of music known to man. Music, recognised as a universal language. Understood and loved by plenty. Uniting the most incompatible types of people. The operative word here being language. South Africa, like the orchestra, has a host of components made up of this rainbow nation. We have 11 languages shared between us, perhaps not understood by all, but much like music, still has the power to create a source of communication greater than any human ever thought possible. When given an outline of a single country, with a variety of languages, one dwelling outside of that particular country must ask themselves, how on earth can all those people survive, engage, co-exist within what seems to be an overflow of languages. I simply choose to view it like music. There are many genres of music; rock, soul, hip hop, gospel, classical, RnB, reggae – the list goes on. South Africa is blessed with Setswana, Sepedi, Isizulu, Isixhosa, Afrikaans, Venda, Shangaan, English, Swati, Tsonga and Ndebele. We may not all be able to speak the languages, or hear one another when we talk in those different languages to our fellow people, but we coincide extremely well with one another. And in a musical sense, my example would be that, one may not know how to write music or even sing very well, but there is an understanding of it. That alone allows music, and in this case, language, to be alive and to continue to communicate certain feelings and emotions to whomever, whenever. One need not know how it all comes together, but it always does. 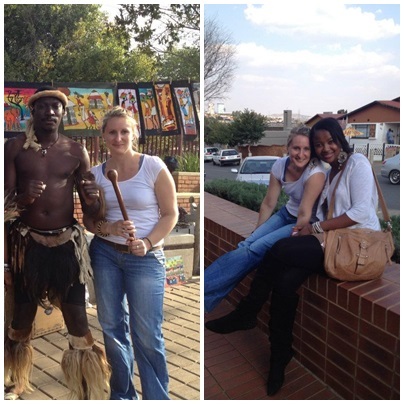 The majority of the Zulu speaking black South Africans live in KZN, and now, it’s become mostly populated by Indians. Yet somehow, they get along and understand each other so well. In addition, teaching one another the joys and ways of their different cultures. Inviting a sense of harmony into this common space they share. An example in my “music is language” theory; would be like a soprano and an alto voice, balancing each other out in melodic harmony, which seems to make more sense when sung together. In the Northern Province of South Africa, you have Venda, Pedi and Shangaan speaking people, all known to be colourful cultures respectively, many of which are similar, but still detailed enough to differentiate. The lovely thing about it is that you can never have too much of something that appears to be the same. Most of the locals there can understand each other as most words are familiar, but nonetheless make it beautiful enough to appreciate. These languages, are distinctive to their own colours and ways, but together, paint something that not just the eye can see, but the heart can feel too. On occasion, you get Portuguese, Italian, French, Spanish, and Mandarin, none of which are South Africa’s official languages, but can be heard through the streets of many towns, in most of the provinces, signifying the diversity that has become so rich in this country. We even see it in Parliament, a show of unity and a learning curve above all, as delegates gather there from all over the world, feeding the rest of the nation from the top, spreading lessons on equality, and encouraging power and strength in languages unknown. When considered, both music and language need a start. In music, you need a single beat. It doesn’t matter how the beat sounds; there must just be something on which to build a foundation of notes, a melody and lyrics. In language, English can be seen as that beat. Although not all South Africans can speak or understand English, it is a universal language and widely used as a source of communication for many. The accents it’s spoken in may not be the same or some of the words may not be used appropriately, let alone in the perfect context, but the message is delivered, heard and understood more than other languages. Just because we don’t like the same music or comprehend the purpose of the lyrics, we feel connected to it somehow. We don’t have to like each other’s cultures or languages as a country, but it’s pleasing to know we try. And furthermore, we respect our differences, and even share a common love for those differences. Thus allowing us as a nation to appreciate each other, our languages and our cultures. Lastly, in my imagery of music as language, I picture a studio, filled with instruments, technical machinery, skilled producers, band members, singers, and songwriters, equipped to guide this process of growth, all gathered in this one room. Ready to create from all their different talents, something so pure, so beautiful, so admirable, when seen from the outside in. Music. Now South Africa for me is that studio. Where all these languages come together into this melting pot we call home, what we call our own, our heritage, our beginning and future, our pride and joy. Infusing all that is deemed unique and different, yet good enough to create something so beautiful that one cannot possibly describe it in one word, but can feel, and hear and appreciate as well as respect. That is South Africa and its languages. Its people, our people, will always be heard.